WARSAW – Kyle Hatch admits that he can laugh about it now. 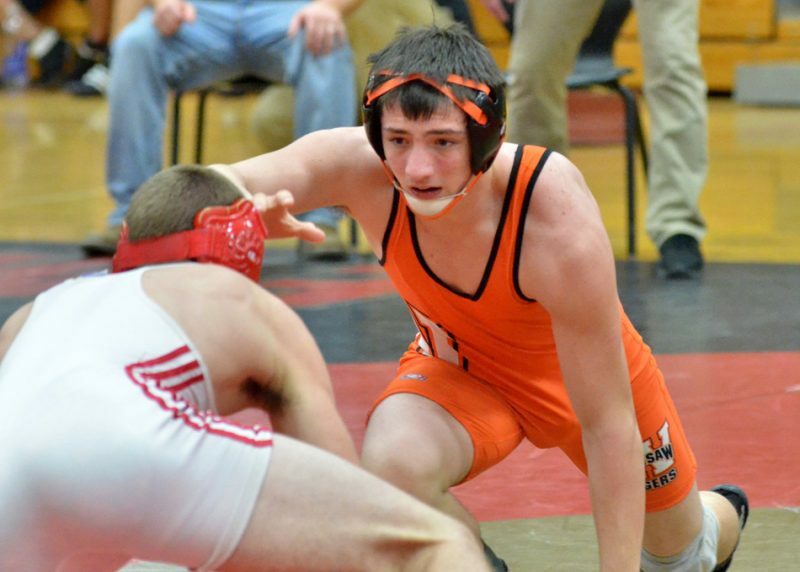 The Warsaw star wrestler also admits that the source of his laughter, a tough loss in the semistate last season, fuels his tank of motivation for his final prep campaign. Hatch, a two-time State Finalist, is poised to make his last high school season one to remember. A motivated Hatch is also wanting to make sure that at the same time he enjoys every moment of his last prep season. Hatch was 41-1 a year ago before his 13-6 loss to Tristan Dembowski of Valparaiso at 138 pounds. He went 46-6 his sophomore season, placing seventh at the State Finals at 120 after posting a 35-13 mark his freshman year, which concluded with an eighth place finish in Indianapolis at 106. Hatch, who owns three sectional championships and a pair of regional titles, will be the face of the program once again this season for the Tigers. New coach Kris Hueber, who is very familiar with Hatch through club wrestling and also his involvement with the younger grapplers in the system, is impressed with his standout. “Kyle is a model for the guys in our program,” said Hueber. “He’s proof of what you can do when you invest in this sport. He’s just really committed to the sport. And with his mentality and demeanor, he would make a great coach. “He’s just the standard for the program. He’s driven, has a strong work ethic and goal oriented. Hatch had an enjoyable fall as a member of the Warsaw football team. He was the holder on field goals and PAT kicks for classmate and All-American kicker Andrew Mevis. Hatch is already looking forward to a huge test come late December in the loaded field at the Al Smith Invitational at Mishawaka High School. He is a two-time champion in the state’s most prestigious tournament, which features the top wrestlers from around the state each year. “I definitely want to be a three-time champion at Mishawaka,” Hatch said. Hatch plans to wrestle at 152 this season and checked in as the No. 3 ranked wrestler in the state in that class in the preseason rankings. Hatch and his teammates open the season Saturday as Warsaw plays host to its own invitational starting at 9 a.m.